Sweat, blood, tears and collaboration marked a difficult few weeks at Easy Horse Care Rescue Centre, which has opened its doors to a ‘magnificent seven’ horses and ponies, plus another donkey and a horrifically neglected white pony. 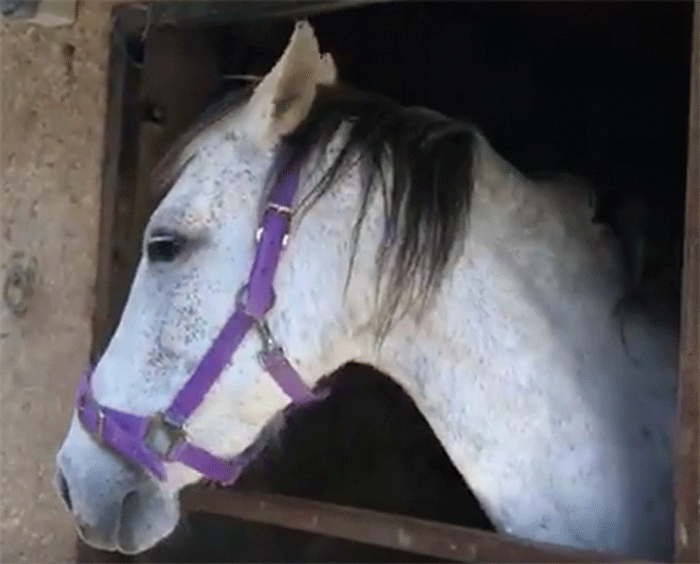 Seven equines (four horses and three ponies) whose owners couldn’t feed them anymore were about to be evicted from the land they were renting. ding, the desperate owners had considered selling the herd to illegal horsemeat traders. 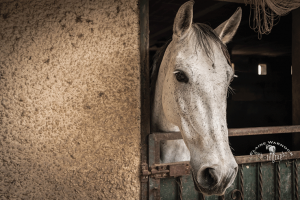 They had also considered putting the animals to sleep, but it would have cost well over €2,000 to euthanise seven horses. The mother horse, her daughter and son, an auntie and three minis (two mares and a colt) were malnourished and dehydrated. The stallion’s hoofs were also in very poor condition. 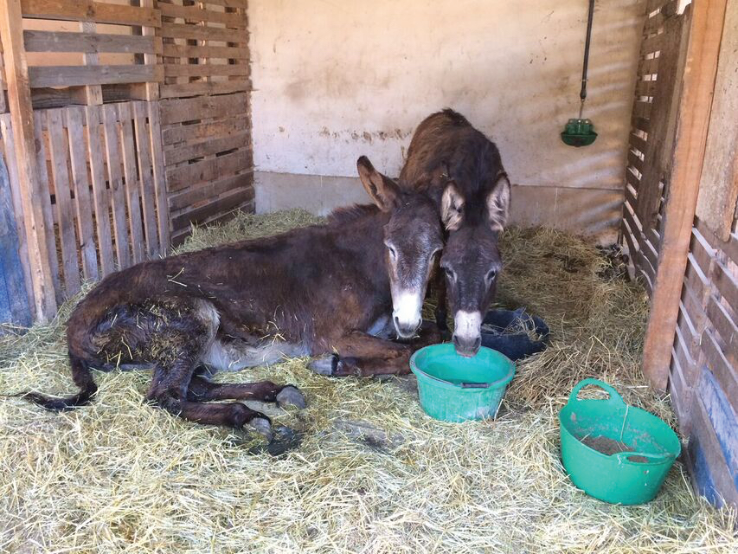 A few days later, a donkey found by Spanish police in the streets of Valencia arrived at the centre. 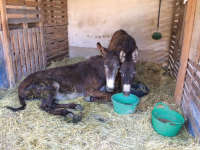 The thin and injured donkey had first been rescued by the Associació Animalista Tavernes, which saves cats and dogs in northern Spain, but one month after the rescue, the Associacio discovered they had to leave the land they rent. 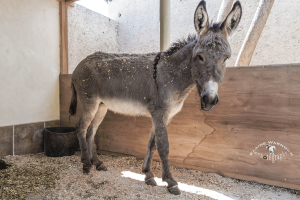 Without Easy Horse Care Rescue Centre, gentle Melvin the donkey would have gone to the dog pound, where he would have faced imminent death. 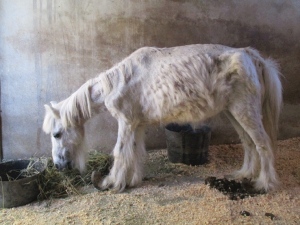 The worst was yet to come – on May 12th, Almoradí police brought in an abandoned and skeletal pony, who was covered in parasites and hooves so horrifically long she could barely walk. 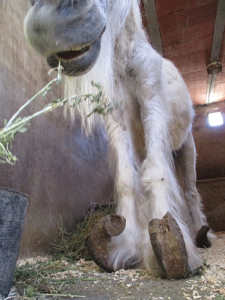 The pony, which Sue and Rod have named Annie, is now on painkillers and eating well. 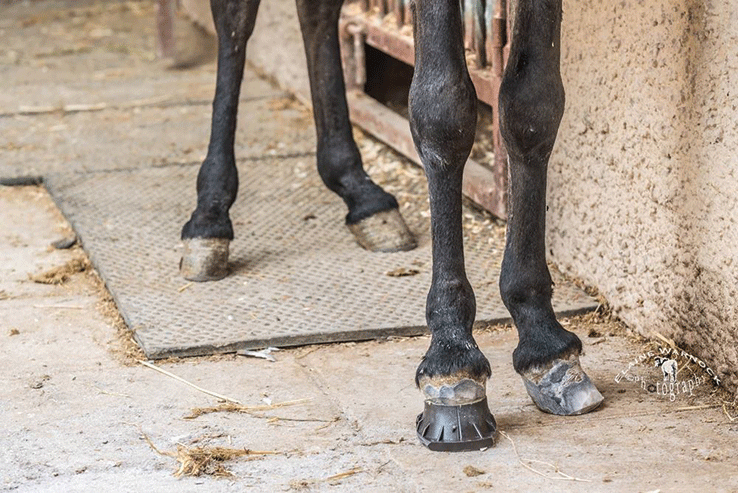 A specialist farrier performed major rehabilitative work, cutting away up to 30cm of growth from each hoof to help Annie walk again without pain. 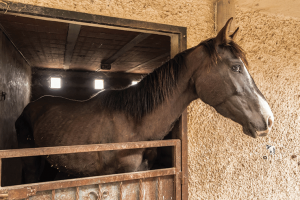 This is just the beginning, as Annie, who is about 15 years old, most likely has laminitis and retracted tendons, meaning she will need surgery. 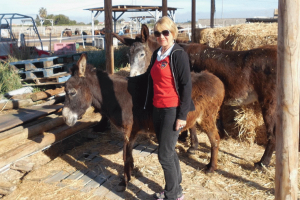 Four years ago, UK-born Elaine Sission visited Easy Horse Care Rescue Centre and was blown away by the sight of 90 rescued equines, all happy and well cared for. Elaine was shocked by the stories of abuse, starvation and neglect the rescued horses, ponies and donkeys had endured before being rescued by Sue and Rod Weeding and made a pledge to help the horses setting herself a major personal challenge to raise funds – this year, she has pledged to complete the difficult Machu Picchu climb in Peru. Elaine also often holds teas, sells cakes and organises raffles and fashion shows at her local pub to help the horse sanctuary. She has single-handedly raised more than €4,000 for Easy Horse Care Rescue Centre. She visited the centre in March this year and got the opportunity to meet the centre’s official grandma, a recently rescued old mare named Beauty. The battered mare needs special shoes to relieve her ruined legs, which inspired Elaine to set herself another challenge and raise more funds for the centre. “I’ve made Sue and Rod’s motto mine: you can’t save the world by saving one horse but you can change the whole world for the horse that you save,” said Elaine.